Overall Series Rating 2.5 StarsI like the artwork and this sounded cute… so I kept at it. I have a stubbornness about finishing stories (I should let this go) but the characters in Captive Heart feel flat. I read MeruPuri by the same author and had real problem with the relationship dynamics, I’ve got similar problem in Captive Hearts. Both Megumi and Suzuka are entirely too accepting of “the curse”. Once you get past volume 1 everybody just seems to go along with the fact that the two of them are in love (except for a brief concern from Megumi’s mother). Pretty art, but opinion is solidified from the first vol. Maybe something is lost in translation for me, but I usually enjoy random characters and side plots. Odd to find myself so bored and forcing my way through. Not worth continuing. So interesting to meet new characters and learn some backstory on the old! Really enjoying that series! Megumi Kuroishi has found out about the curse of the Kuroishi clan. He finally knows that he is in love with Suzuka Kogami, and it is not the curse. He is surprised when someone come to the kogami mansion and asks for Suzuka's hand in marriage! As if that were bad enough, his mother comes to see Suzuka for answers from her past, to solve a case. So now all Megumi can do is wait.This book reminds me of twilight because Edward is really protective over Bella and that's how Megumi was over Suzuka he get’s jealous easliy.I give this book 5 star because it was really romantic and funny. I would recommend this book to anyone who likes Romanic books. Again, ridiculous. But still, the relationship between Suzuka and Megumi is sweet, and in my opinion, better than the relationship of Airi and Aram in Merupuri.Then comes Megumi's crazy mother: Keito. Also known as the female monster.I know it's rude to ask this, but does she really think she fits to be a mother?? (I have a baby boy, and I can't imagine leaving him just like that for years). She's also said to be an experienced interpol agent, but the way she forces Suzuka to help in her investigation makes me question this. Maybe she's just overly insensitive, but that does't justify her actions. The Captive Hearts series is fluff, but fun fluff. Megumi Kurioshi is under a curse to serve the Kogami family. The only surviving member of the Kogami family is seventeen-year-old Suzuka, who has been missing for fourteen years. When she returns home, Megumi's entire life is turned upside down -- because not only is he under a mysterious compulsion to be her servant, but he might also be falling in love with her. This series makes me laugh. Megumi is crazy in the way he acts over Kuzuka. I know some of it is the curse that he is suppose to follow the orders of the Kogami family but he goes way overboard with his reactions to everything. In this volume Megumi tries to become a more formal servant. When a Heir arrives and claims Suzuka is his bride Megumi acts even crazier then normal. 2.5. With the end of this volume, I have decided to pass on continuing the series. I'm not feeling it. At least this volume just follows the main couple, and doesn't suddenly sprout off into other stories (like volume 1). But I'm not connecting with the characters, the plot seems to be moving at a snail's pace... and I just don't care. Oh well. Moving on to a new series (hopefully) next week! Romance is set and predictable, thus the only way for something to happen is to try to force conflict -- and add humour.So, yeah, pretty much wishy-washy shojo that made me yawn. On the good side, I read it pretty quickly. This story wanders off into the realm of way too silly sometimes. While I understand the need for suspension of disbelief, is the reader being asked to believe too much here? Still, it's kind of fun for light reading. Another guilty pleasure! In this volume people from both from Sazuka and Megumi's past arrive to shake things up. Now that we know more of what happened in Sazuka's past, it adds an interesting twist to the curse. my 200th book added! i adore this series, but that's because i'm a sap. megumi and suzuka are just so cute together! it's interesting how hino builds the characters in this series. the characters are just happy people with such dark pasts. well, some of them anyway. Predictable but romantic manga. 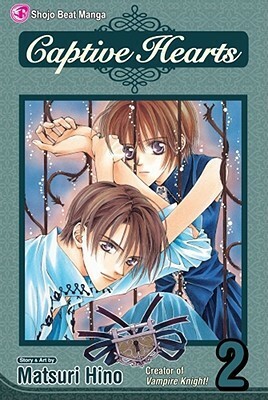 I love the artwork by Matsuri Hino. Still fine. Will purchase for the LMC. I would never have expected to give a manga by Matsuri Hino less than three stars, but I might even stop reading this series. It's a little too flat for me. This story is rather silly, but for some reason, I like it. Thank goodness I have the rest of the series. A very very funny read. I laughed horrendously on the bus and the tube. I'm really looking forward to the next volume. Matsuri Hino Andria Cheng - Name in Japanese: 樋野 まつりMatsuri Hino was born on January 24 in Hokkaido. She was a bookshop keeper who one day decided to become a manga artist, and all of nine months later, in 1995, she published her first manga title, Kono Yume ga Sametara (When This Dream Is Over), in Japan's LaLa DX magazine.